PT is going to be disappearing from the PlayStation Store soon. 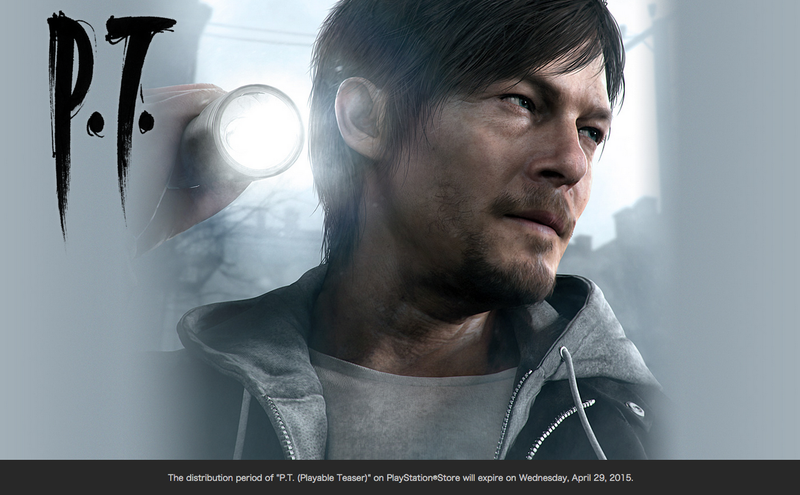 A note on the official website for the “playable teaser” for the next Silent Hill game says, “The distribution period of “P.T. (Playable Teaser)“ on PlayStation Store will expire on Wednesday, April 29, 2015.” It’s unclear whether this is a new chapter in the bizarre, ongoing separation between superstar producer Hideo Kojima and publisher Konami. Timing sure is weird, though.